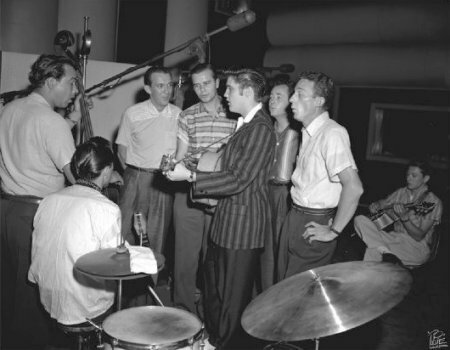 Elvis first went to RCA's New York studio on Dec 1 in 1955 soon after signing with the label but Scotty and the band did not record there until January 30 and 31 and February 3, 1956 while in town for their first two television appearances on the Dorsey Bros. Stage Show. 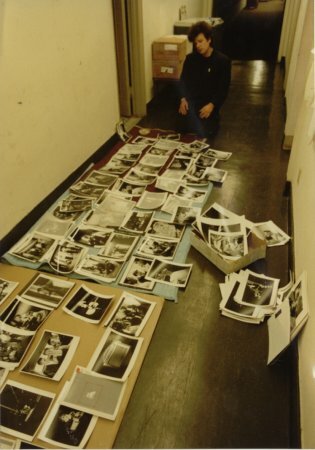 William "Popsie" Randolph, the preeminent paparazzo photographer of the New York music scene, was hired to shoot several publicity pictures. 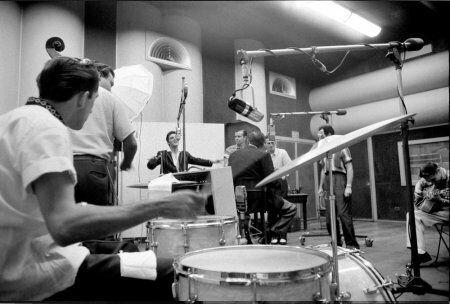 Through these pictures and those of photographer Al Wertheimer we get a good look at RCA Victor Studio A. 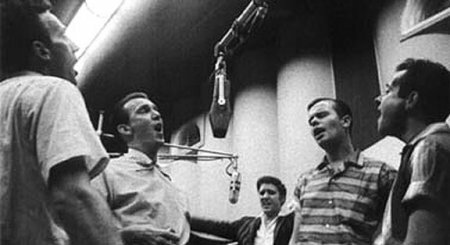 In the mid 1950s RCA Victor had two studios in New York City for recording music, Studio A and B (sometimes also referred to as Studios 1 and 2). 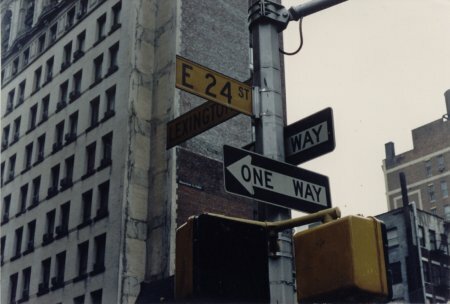 They would at times rent commercial space such as Webster Hall and the Manhattan Center for large performances, like orchestras when they couldn't get Carnegie Hall or when the other studios were booked. Webster Hall had a very high ceiling and a balcony with a railing from which they would hang large blankets to dampen the room for a recording session. 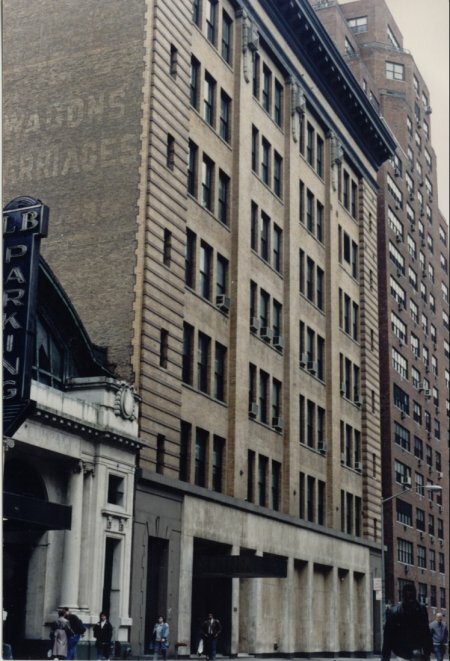 The studios however were located on the ground floor of the building at 155 E. 24th St. on the block between 3rd and Lexington Avenues. 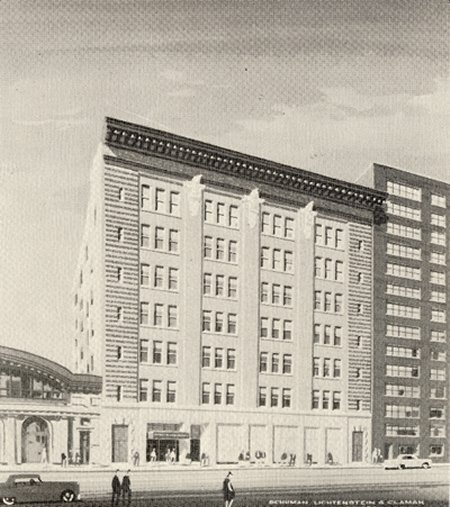 The building was originally built as a seven-story stable in 1907 for Fiss, Doer & Carroll who at the time supplied many of the horses for use in operation of the transit system and later for the war effort in WWI. 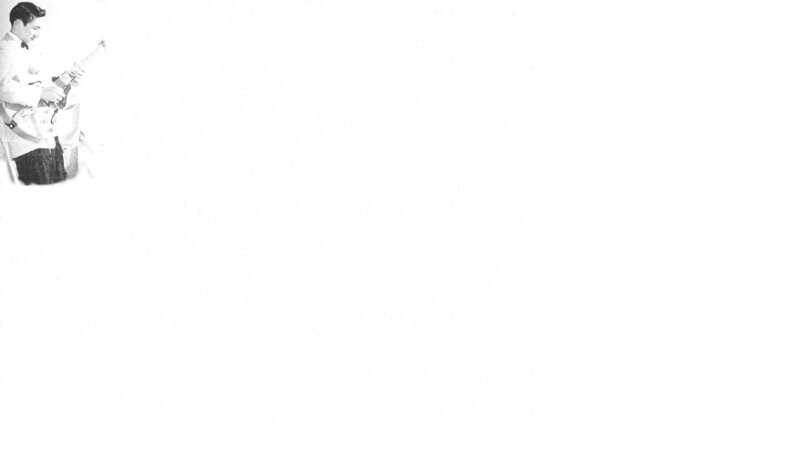 The Broadcasting Yearbook's first listing for the 24th St. address was in 1937. 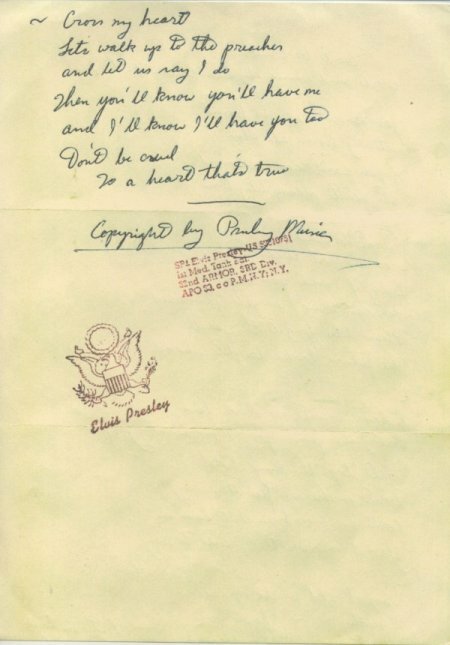 Mitch Miller played oboe on an Elisabeth Schumann recording there around 1938. Of the two, Studio B was the smaller and mainly used for piano recitals and string quartets. 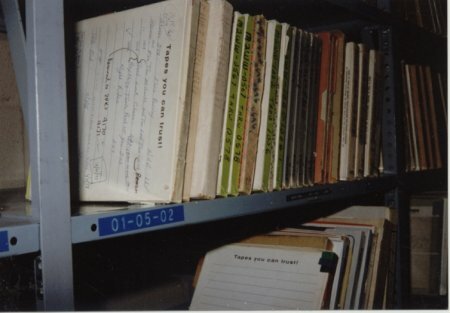 Studio A was used to accommodate and record anywhere up to about 20 people. It consisted of 3 rooms. The large room, or studio, was the one for the musicians and performers, a slightly smaller control room for the engineers and an even smaller one for guests, all separated by double paned glass for sound insulation. You could access the studio from either the hall or the control room but not the guest room. 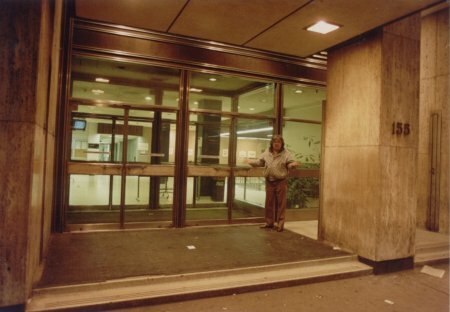 The hall entrance had large doors to accommodate pianos. 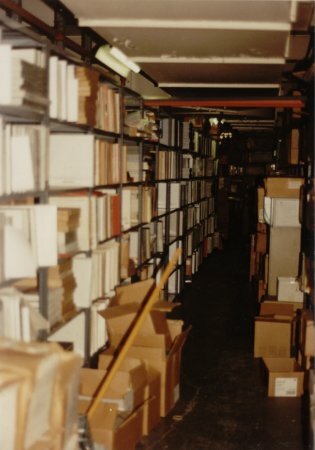 The interesting thing about Studio A was the design of the walls and ceiling, which employed a series of "polycylindrical diffusers" for acoustics. 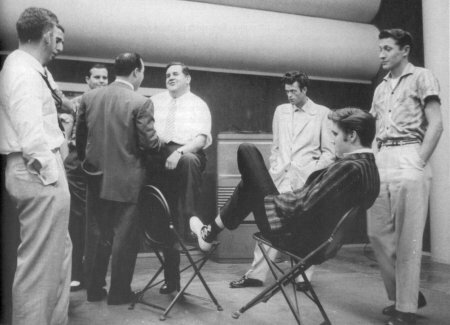 Al Wertheimer was hired to shoot photos of many RCA recording artists in the studios and in Peter Guralnick's Elvis biography, "Last Train to Memphis" described Studio A. He said, "The studio looked like a set from a 1930's science fiction movie. 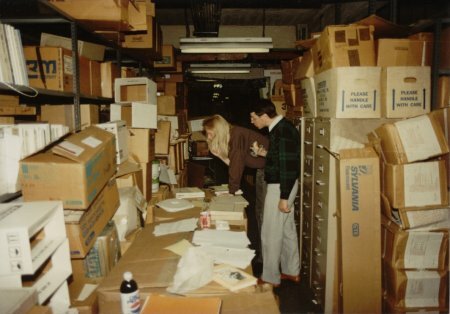 It was a large rectangular space of acoustical tile walls ribbed with monolithic half cylinders. These ran vertically on the long sides of the rectangle and horizontally on the short sides. The high ceiling rippled with more parallel cylinders and two pipes of fluorescent light. The floor was a series of short strips of wood scaled in a sawtooth pattern of right angles. In the center of the room lay a patch of carpet on which the musicians had placed their instruments." 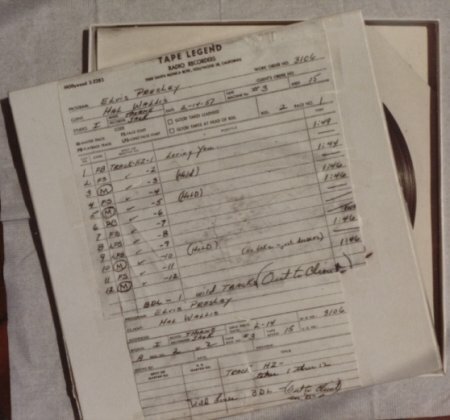 Some of the other musicians who recorded there include Marian Anderson, Harry Belafonte and Perry Como. 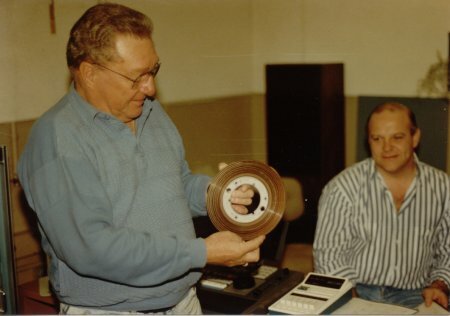 Al remembers the equipment at one point as being mostly 30 ips (inches per second) 4 track Ampex recorders though in 1956 it would not likely have been more than 1 or 2 track and at 15 ips. 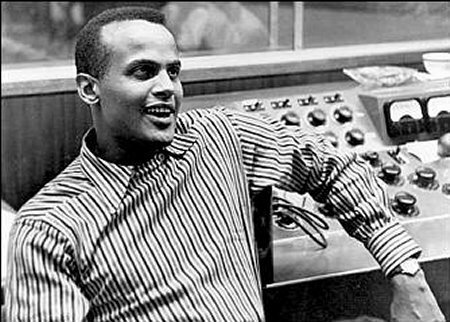 Al thinks that an old picture of Harry Belafonte might have been taken in the control room of Webster Hall. It suggests that the mixer was a custom type, which is not surprising because the equipment in the studios there in the 1950s would have been built by RCA engineering staff. 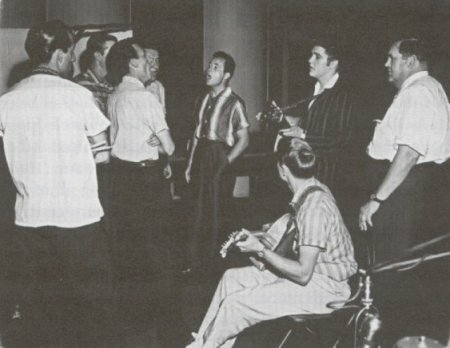 Almost all of the microphones used for the sessions with the band were RCA 77DX's and 44A's suspended from large booms, used for vocals and to mic Scotty's amp and Bill's bass. 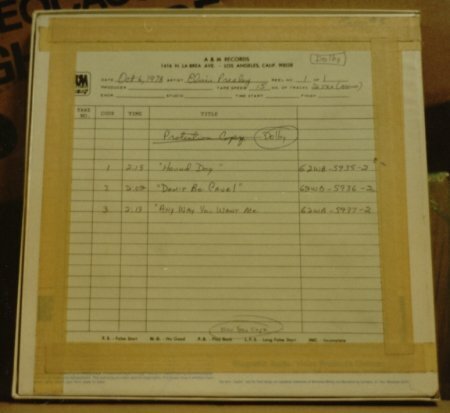 The band only recorded there one last time on July 2, 1956, the day after appearing on The Steve Allen show but among others the session yielded the hits "Hound Dog" and "Don't Be Cruel". 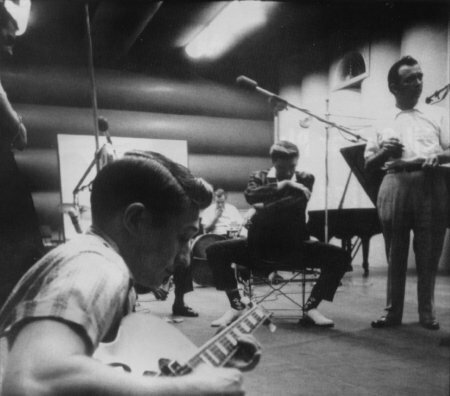 The last session there was the first time they actually went into a studio with a song they knew they would record, "Hound Dog", and also the first time they recorded with all four of the Jordanaires (Gordon Stoker, Neal Matthews, Hoyt Hawkins and Hugh Jarrett). 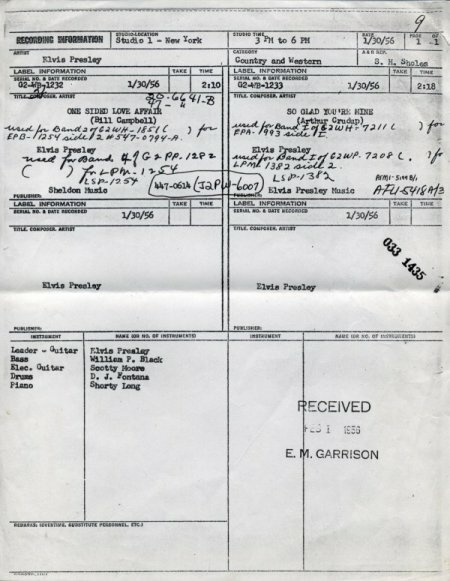 In 1969, RCA Victor moved to 1133 6th Avenue at 44th St. 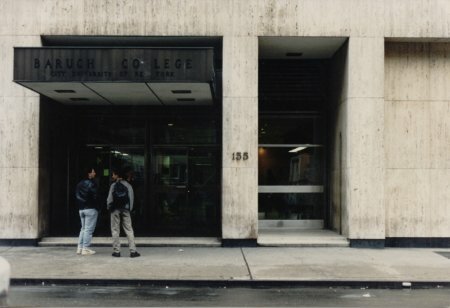 In the 1980s the building and surrounding properties were acquired by the CUNY (City University of New York) and used by them until the late 1990s. 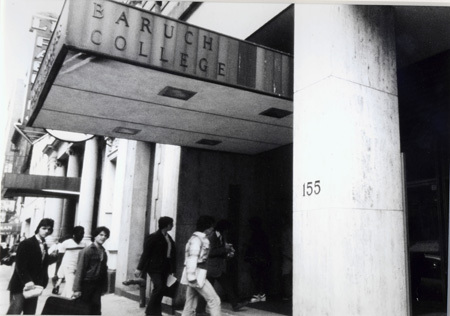 The entire block was destroyed when Baruch College expanded but prior to demolition, while empty, the building was rented for use in the filming of the 1997 film "The Devil's Own" starring Harrison Ford and Brad Pitt. 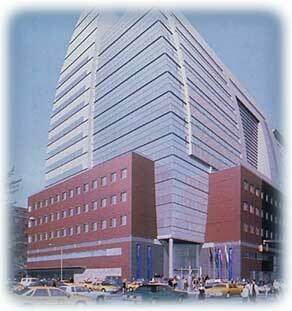 The site is now occupied by Baruch's new vertical campus. 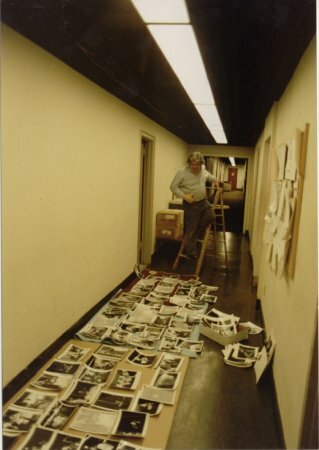 In 1989 while on one research visit with Ernst Jorgensen to New York and the RCA vault, Ger Rijff met with photographer Al Wertheimer and visited the building which was the former RCA building in NY. Ger sent me these photos recently to use here. 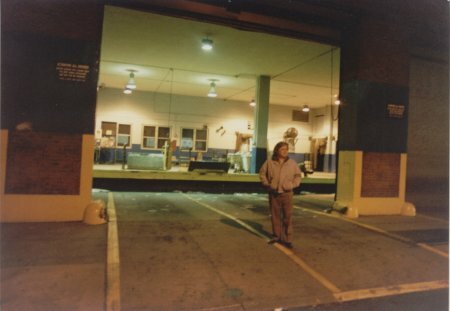 After the Hound Dog session, Al recalled Elvis talking to the postal workers across the street from the RCA Building and handing out autographs. 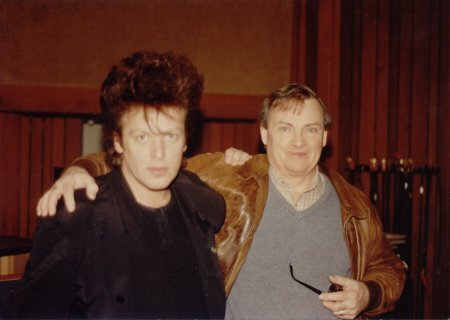 Alfred Wertheimer and I are sorting out material for my books. 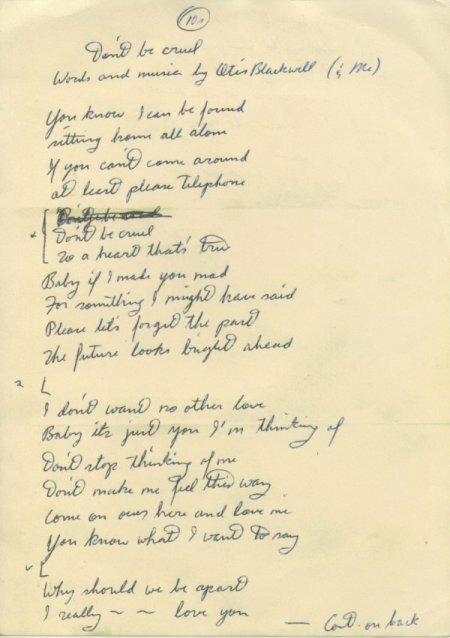 "Precious Lord" "It Is No Secret" "Blueberry Hill" "Have I Told You Lately" and "Is it To ??" 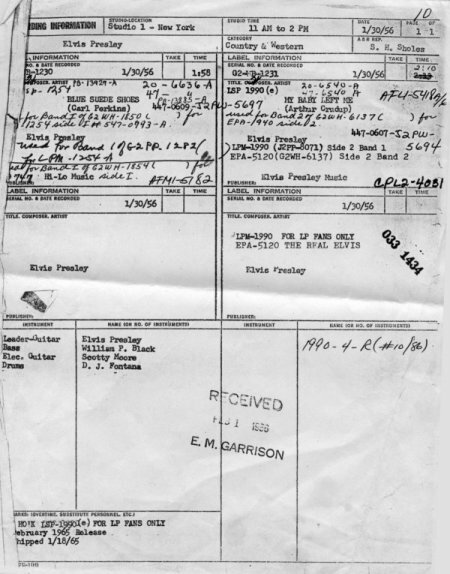 Chick Crumpacker was also a 'field man' for RCA . He regularly went South checking out new C&W artists. 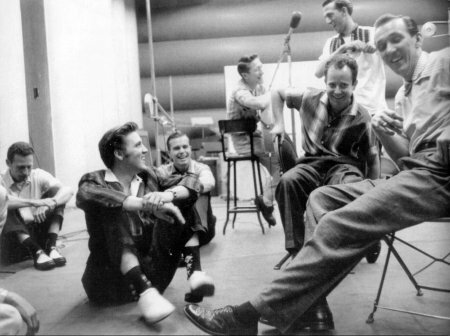 On several trips in 1955 he met up with Elvis & The Boys. 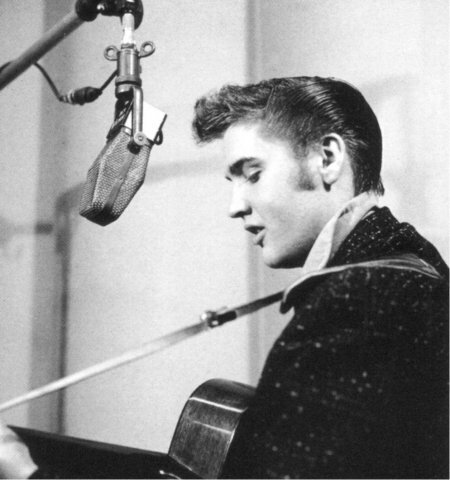 When in New York to guest on Stage Show, Chick accompanied Elvis and The Boys to Studio 50. 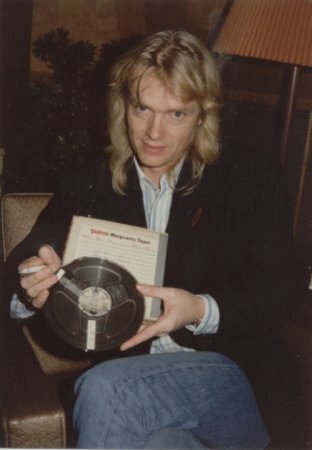 Chick also wrote liner-notes for many RCA record releases. 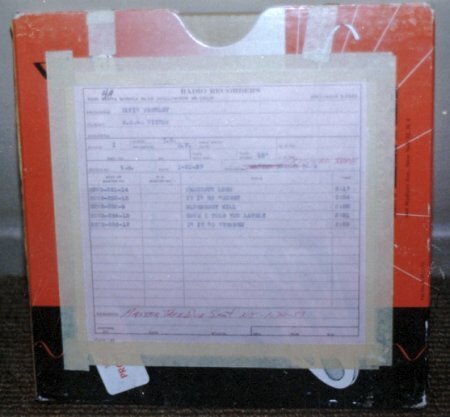 Among them, the story on the back of the 2nd album 'ELVIS'. 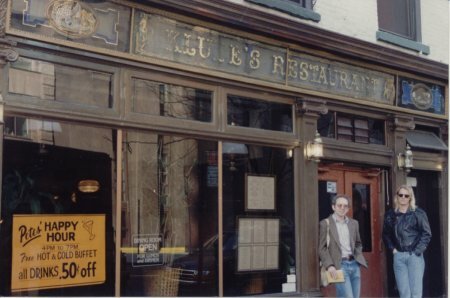 When in NY to record, Scotty, Bill and DJ would spend a lot of time in this bar while Elvis was off doing his stuff.